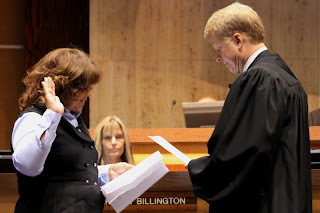 STATE CAPITOL, Phoenix – Today, Maria Garcia accepted the Oath of Office for the remainder of the late Sen. Jorge Luis Garcia’s term as Legislative District 27 State Senator. Maria Garcia was born in Phoenix where she attended grammar school in South Phoenix and graduated from Phoenix Union High School. She attended Phoenix Community College and is near completion of a degree from the University of Arizona Eller College of Management. Maria Garcia has been employed with Raytheon for thirty years where she has been involved in manufacturing, electronic technology, quality engineering and prototypes. She was promoted to supervision and is currently a value stream manager at Raytheon. Jorge and Maria met when they were 15 years old and were married for 38 years. She and Jorge moved to Tucson for him to attend the University of Arizona. They have three adult children, Yvette, a teacher, Dominique, a Harvard graduate who works in marketing and Rolando Jorge Luis, a civil engineer. Maria has always been active and supportive in Jorge’s endeavors and participated in many conferences with him. She is involved in Big Brothers and Big Sisters and Shine for Shoes, which provides shoes for underprivileged children. Previous to Senator Jorge Luis Garcia’s death, he and Maria had discussed her taking over his office should it be necessary. Maria Garcia was appointed by the Pima County Board of Supervisors to fill out the remainder of her late husband’s term. 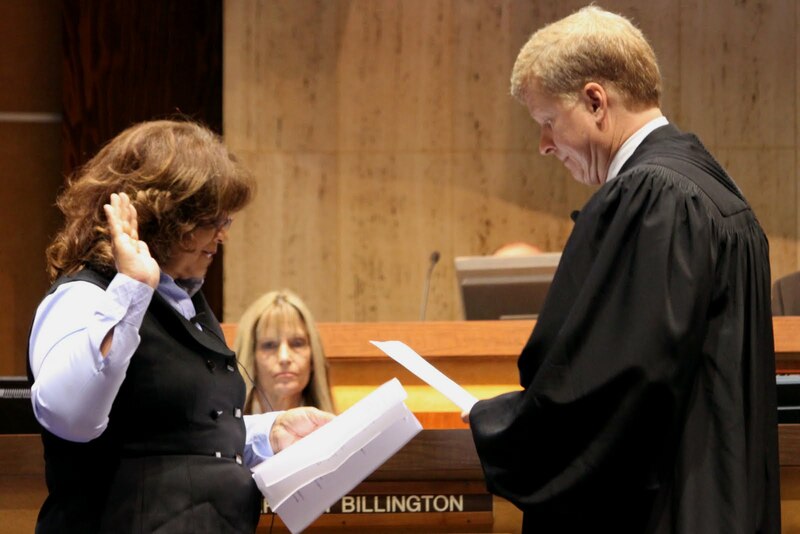 Maricopa County Superior Court Judge William “Bill” Brotherton, who had previously served in the Senate with Jorge Garcia, administered the Oath of Office.